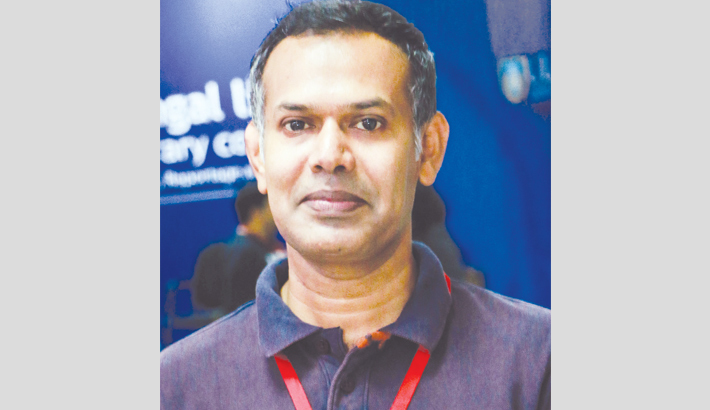 In a recent article titled “Crisis of Skills and Soaring Unemployment” (The Daily Star on July 15, 2018) Biru Paksha Paul, former chief economist of Bangladesh Bank, correctly pointed out that many of our graduates lack the skills which are required in the job market. In our growing economy, more than two million young people enter into the job market every year, and they are almost three times more likely to be unemployed than others. Many of them are ill-paid; and the situation for women is worse. Now question is – can the market/system generate as many jobs as required? If not, then what are the jobless youth doing? Does the government have the latest data of the number of jobless youths and the needs/demand of job market? In fact, the lack of placement policy and poor skill development initiatives from the government result in joblessness which is pushing the youth into a domain of desperation. And their anxieties are being compounded day by day. So the recent quota reform movement can be seen as an outburst of pent-up frustration and grievances among the jobseekers. In his article, Biru Paksha Paul – currently an associate professor of Economics at the State University of New York at Corland – wrote, “We have produced millions of youths holding master’s degrees in Chemistry, Physics, Philosophy, History, Political Science, English and Literature. But most of them, if not all, want to be magistrates where power and money merge together without the need for any ready skills.” Can we deny this reality? Recently we have observed that the demand for quota reform in government jobs has been reportedly high from all quarters, especially from the students studying at colleges and universities. No doubt, this reform has long been due. And because of the discriminatory quota system, lots of meritorious students opting for civil services have been deprived over the years. But do our graduates have only job as an option – government services (BCS or non-cadre) – in their hands? If not, then why does one study Applied Chemistry or Physics? Why does a student want to study Business Administration or Pharmacy? Why does a graduate having MBBS degree want to be a police officer or magistrate? Why does a student want to be a customs officer/tax commissioner after graduating in Computer Science or Engineering (Civil, Electrical or Leather Technology)? Why do most of the students have to sit for BCS exams after their graduation? Can’t the private sector jobs (mainly formal jobs) attract the graduates passing out of the universities? I reckon these questions need to be raised and addressed; simultaneously we need to seek answers to these questions if we really want to solve the problems. Otherwise, the country will be lacking skilled labour force in private sector which will ultimately depend on the foreign workforce. Students studying medical science or engineering are supposed to be doctors or engineers either in public or private sector. Isn’t it unlikely if they want to become police officers or magistrates? Even a Business graduate majoring in Finance or Marketing is found desperate to look for a government job (BCS) though he/she is supposed to try to find a suitable job either in a financial institution/bank or any multi-national company. We know why it happens. We have inherited a colonial mindset and are still bearing that legacy. But this has been a huge system loss. If we allow a graduate - with MBBS or Engineering or MBA/M. Pharm. degree – to become a BCS cadre (customs officer or magistrate), the nation will lose an efficient doctor/engineer/banker or a good pharmacist and badly lack their services. Besides, the government spends huge money (taxpayers’ money, of course!) on a medical or engineering student reading in government medical college/engineering university. If the system loss continues, the country will not get the right people at right places. So we need to have a very clear and comprehensive policy to streamline the young people in the right direction of employment and utilize the human resources or human capital in a very effective/smart way. In the existing education system, we don’t have much skill-based programmes and value skill-based learning. It doesn’t mean that the youths don’t like learning skills. They are mostly discouraged to invest in acquiring skills when they find those credentials almost useless in job market. Besides, our society – parents/guardians and teachers – encourages the children to pursue BA/MA or MBBS/Engineering degrees traditionally and wants them to get white-collar jobs which give them social security and status in future. This is how the children grow up with a conventional notion that only the white-collar jobs are prestigious and secure. Here no one would go for a one-year certificate course/diploma on Hotel Management/Tourism Management when she/he finds herself/himself jobless after graduation. On the other hand, we are not sure whether or not the industry is ready to take on these graduates having a diploma on the relevant field and offer them good salary. It seems there’s a huge gap between the industry and the institutions/colleges or universities offering degrees/diplomas/certificates. Still we are reluctant to go for vocational training or skill-based education to build up career as a hairdresser, tailor master, plumber, painter, chef, driver, receptionist, front-desk relationship associate, waiter/waitress in a five-star hotel or a salesperson in a superstore and etc. For these jobs, known as blue-collar jobs, we don’t need BA/MA or BBA/MBA degrees. If the employers offer good pay, I think our youths are ready to take up the challenges. We also feel shy of doing this type of job because we have got university degrees, so these jobs are not suitable for us. But we know that many of us do this kind of job when we go abroad and choose to settle over there as immigrants (both legal and illegal). Now it’s time to come out of shyness or prejudices and start thinking unconventionally. Otherwise, we have to celebrate the state of being jobless and stay with prejudice in the long run. We seem to be indifferent to demographic dividend which could be a boost in economic productivity that occurs when there are growing numbers of people in the workforce relative to the number of dependents. According to the definition given by United Nations Population Fund (UNFPA), demographic dividend means “the economic growth potential that can result from shifts in a population’s age structure, mainly when the share of the working-age population (15-64) is larger than the non-working-age share of the population (0-14 and 65-above).” So the government should be serious about making proper use of its working-age population for productive socio-economic activities. The benefits of “demographic dividend” should not be understood only in terms of the additional number of jobs created. Some key factors - - availability of skill-based education or vocational training, ensuring quality education at all levels (from primary to tertiary education), ensuring gender participation in socio-economic activities, keeping GDP growth consistent, creation of additional/sufficient jobs in both public and private sectors and etc. - - are to be considered if we really want to exploit the full potential of the demographic dividend. Otherwise, it will get lost, and by 2040 the window of opportunities to accelerate economic growth would begin to end. Our neighbouring country, India, has already opened a separate Ministry for Human Resources and managed to assess the human resources requirement for existing and potential industrial sectors. The Ministry of Human Resources also shared the requirement with the Ministry of Education. Did any of our governments take up such initiative or strategy? They didn’t even think because our government doesn’t or can’t foresee what will happen after its 5-year tenure. Had the governments (including the previous ones) consistently reshaped the traditional/colonial bureaucracy, valued meritocracy in jobs and developed educational system based on the requirement of industries, our mindset/psyche would have changed and unemployment rate would have declined by degrees. In a recent press meet, when talking about the growing unemployment rate in Bangladesh, Dr Zahid Hussain – lead economist of the World Bank’s Dhaka office – said, “This is a structural mismatch. When we talk to relatives, they say there are not enough jobs. But when we talk to entrepreneurs, they say where are the people to hire?” (The Daily Star on 27 April 2018). It shows that the quality of education in the existing system – particularly tertiary education – doesn’t match the needs of the current job market. The youth labour force (15-29) now stands at 2 crore or above. So the government should take the lead to work on ensuring quality education by upgrading the curriculum at all levels and launch a separate Ministry for Human Resources to make a database for assessing the needs of the industry and the number of students (graduates) passing out of colleges/universities every year. This ministry could be able to implement National Skills Development Policy 2011 effectively and make an active link with the Ministry of Education. Since the current unemployment rate seems to be the highest, particularly among the educated youth in Bangladesh, both the government and the private sector entrepreneurs should come forward to create more jobs (formal and informal jobs) in both public and private sectors immediately. And to do so, the government needs to attract local/foreign investors and establish good governance at all sectors. This is how the country’s existing economy would grow sustainably, and our youths could get employed without depending on the government jobs only.